We create content and manage email marketing campaigns to keep customers coming back. Email marketing is a way to leverage the power of email to reach your customers and promote your business. One of the best ways to stay in touch with your customers to keep them up-to-date on your specials and company news, is to send out a newsletter. You can send this newsletter out weekly, monthly or at whatever frequency you deem appropriate. However, the important part is to be consistent. Not only do you need to be consistent, you’ll also want to give your customers a good reason to want to receive your newsletter. One of the easiest ways to make your customers want to receive your newsletter is by including discount codes or coupons. Everyone loves at great deal, and discounts encourage customers to return to your website to purchase more of your products and services. Email marketing is a great form of advertisement, in addition to a great way to keep in contact with your customers. However, it can be time consuming and tricky to set up if you’re not quite sure how to do it. Not to mention how time-consuming it can be to regularly create content for your newsletter. And that’s where we come in. 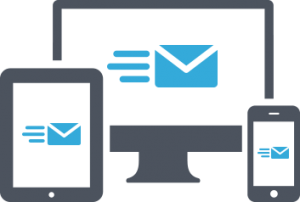 DWP Multimedia offers a wide range of email marketing services from setting up a brand new marketing campaign to completely managing newsletters and creating content for you. Interested in harnessing the power of email marketing for your business? Want to stay in contact with your customers to keep them buying more of your products or services? Contact us today, and let’s talk about how we can make your email list work for you. © 2018 DWP Multimedia, LLC - All Rights Reserved.